The vast majority of people brush improperly. Surprising to know that there is a right way, but it’s true. When using a traditional toothbrush, the bristles need to be angled slightly toward the gum line in order to shimmy themselves in the space between the tooth and the gums. This way the bacteria and plaque is removed from the area that traps it the best – the nooks between the teeth and gums. Tiny little movements of the bristles back and forth in one area for a few seconds will remove that plaque and bacteria best. Most people make large brushing movements across the fronts of the teeth that really miss these most important spots. This is the main reason why the electric toothbrushes are the better option. They oscillate and vibrate, creating tiny little movements that allow the bristles to side into those crevices and successfully do their job. Most people also think that brushing their teeth harder will remove more gunk. This however is untrue. By brushing harder, you are actually scraping away the enamel of the tooth, making your teeth weaker and more susceptible to cavities and staining. The higher-end electric toothbrushes now have a little warning when you brush too hard to be sure you’re using the correct pressure. In the rushed craziness of a busy morning, it is easy to do a quickly brush in order to get onto your day. Research has shown however that it is best to brush for about 4 seconds per tooth! With traditional tooth brushes, its easy to loose track of time and how long you actually have been brushing. Most electric toothbrushes run for 2 minutes, giving tiny signals when it is time to move to the next quadrant of your mouth. This way, you always know you are brushing for the proper length of time. Overall, electric toothbrushes put all of the science about properly brushing into action – making it simple for anyone to brush the right way. Not to mention, they feel really nice on the teeth and leave your mouth feeling super clean. I personally had drastically improved dental checkups after changing to an electric toothbrush which was proof enough for me! 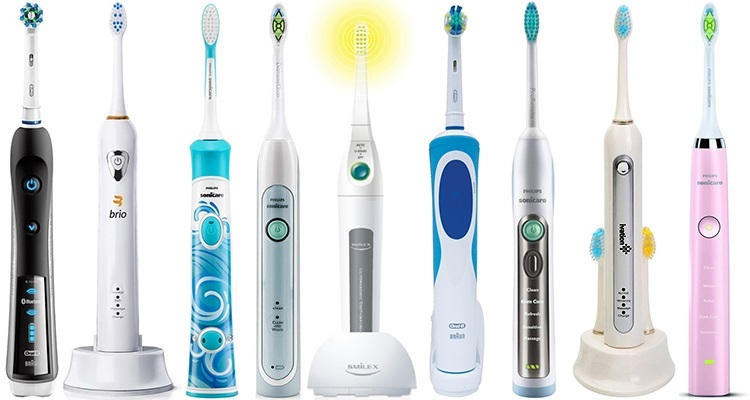 electric toothbrush reviews electric toothbrush vs regular toothbrush electric toothbrushes should I buy an electric toothbrush?